Behind the glamour: Sanwal says it’s important to be effective in extremely diverse circumstances. Photo by Priyanka Parashar/Mint. Wearing the latest Ferragamo shoes, sporting a Tag Heuer watch or accessorizing with a Hermes tie on a regular workday are just some of the perks of working in the luxury goods business. Three professionals tell us that glamour and growth notwithstanding, selling luxury goods is like being in any other retail business, with its share of stocktaking and other mundane stuff. Every month, we explore a profession through the lives of three executives at different stages in their careers. Tell us which profession you want to know more about at businessoflife@livemint.com. Daily duty: Negotiating endorsement deals with Bollywood actor Shah Rukh Khan or sorting out details of Tag Heuer’s support for the F1 Indian Grand Prix starting 28 October might be the more public aspects of Sanwal’s job, but as head honcho at LVMH watches, it’s the operational aspects of the job—reviewing inventory, supplies or finance—which actually occupy most of his workday. “I start the day by clearing emails, many of which come in late the night before from the headquarters in Neuchatel, Switzerland," says Sanwal, who is in the habit of clearing his inbox while he travels to office. For the first half of the day, he is occupied with meetings—with the head of marketing (to discuss upcoming campaigns or events), or with the head of finance (figuring out receivables from distributors or payment details), or handling issues of after-sales service (for instance, a watch in Bhopal that needs urgent replacement/repair), or making personal calls to a dealer whose payment is stuck. “After 2pm, I try to go out into the market to meet our dealers or plan meetings to explore potential business leads," he says. He travels 10-12 days a month, mostly to other metros, since Tag Heuer is distributed across 80 outlets in 27 cities in India. Sanwal also has to travel to Singapore and Hong Kong and to the Tag Heuer headquarters to meet the global team leaders. To survive in the luxury sector you need: “The ability to be comfortable and effective in extremely diverse circumstances," says Sanwal. One moment you may be discussing credit terms with a dealer in Hindi peppered with extremely colourful language, and later the same morning you may have to make a presentation of a media plan to a Swiss director. Or perhaps attend a press conference with Shah Rukh Khan. The biggest challenge: The luxury market in India operates at two levels. There is a Mumbai-Delhi level that understands Formula 1, sportiness, the avant-garde spirit. “In my advertisements to them I would feature the Tag Heuer chronograph costing ₹ 2.4 lakh. Then there is a Ludhiana and Indore where a watch is bought as a great wedding gift for a son-in-law. Their adverts would feature the ₹ 78,000 range, more traditional-looking watches. “The challenge is to keep the pressure on both markets." What I love about my job: “The amazing amount of agility this job demands of me. Right now the scale here is not so great, so you can anticipate trends and respond to them quickly," he adds. The Indian luxury customer: “Always wants the best deal. And will bargain for it. I once saw a young 14-year-old boy haggling with the dealer for a ₹ 12 lakh watch. He said, ‘Uncle my budget is ₹ 11 lakh, my father will not give me more!’ I get calls from customers all the time. I even had a customer threaten me with his political connections. He said he will not allow Tag Heuer to enter his state—all this for an accidentally damaged watch." One thing I would change: “The misconception that the life of a luxury manager is full of glamour. Most of my time is spent in operational issues, not negotiating deals with stars." What I look for when I am recruiting: “People with the ability to be comfortable in diverse settings: Some dealers may be one-man shows like in Guwahati, or you may have Titan running the show. You have to be able to deal with both." Money matters:Rs 80 lakh to ₹ 1.25 crore per annum. Fragrant days: Ukani loves the fact that there’s always something new to do. Photo by Abhijit Bhatlekar/Mint. Daily duty: As the brand manager for the Coty Prestige group, Ukani handles fragrances like Davidoff, Calvin Klein, Kenneth Cole and Marc Jacobs. It is her job to liaise with the sales team at Tarz, as well as the Coty Prestige team at the Coty Prestige regional headquarters (Asia-Pacific) in Singapore. Much of Ukani’s day goes in analysing sales figures and managing supplies. In addition, since the fragrances are distributed through four-five retail chains, it is her job to liaise with the people at these retail chains. “I have to maintain relations to make sure we get a good space, and the right fixtures for our stalls in these outlets," says Ukani. She travels out of Mumbai around two-three times a month, mostly to outlets in Delhi or Bangalore. To survive in the luxury sector you need: “People skills." You need to have analytical skills too. “Everything depends on revenue and what you deliver at the end of the day. Financial acumen to look at the numbers and figure what’s going wrong in a particular counter, why the sales are not moving or going down," she says. The biggest challenge: The price competition from outlets where smuggled perfume is available. “In fragrances you have stuff coming in from everywhere. It’s hard to do anything about such outlets." What I love about my job: “Every day is new. I am still not bored. Suddenly Coty will say we want to spend ₹ 4 crore on promotion, figure out something. Also, this is a growing market. There are different challenges every day, such as finding new ways to achieve sales targets or a new product launch." Also, all employees get a 35% discount on all fragrances. “Besides we have perfume testers in the office." One thing I would change: “I would like flexible timings, being able to work at your own pace and at your own hours." Career progression: “The sky is the limit. Luxury is a niche market and there are very few people with relevant experience. It is a sector with a lot of promise. But it is also growing slowly and is a market which will take off after 10 years. How many people choose to stay back is the question." A formal qualification always helps, at least an MBA. Perks of the job: Santamaria gets a special discount on all Ferragamo products.Photo by Abhijit Bhatlekar/Mint. Daily duty: Santamaria divides his time between the brand’s two stores in Mumbai. He begins the day at 10.30am with a morning briefing with the staff (each store has four people) at whichever outlet he is. “We discuss the previous day’s issues, any problems or customer complaints there might have been and plan for the day ahead." The stores open at 11am, and Santamaria spends most of the day attending to customers. “I have many customers who drop in to the store, often just to chat and for chai (tea)," he says. “Then there are celebrity customers. Some, like Bollywood director Karan Johar, do their own shopping, others like actor Shah Rukh Khan may be buyers, but infrequent visitors to the shop," he says. Besides customer service, there is the administrative stuff—the routine sales reports to file, the cash and receipts to be managed. Some days there might be product training for the team. Santamaria winds up by 8pm, when the store closes. To survive in the luxury sector you need: “To be very well-spoken and humble." The biggest challenge: “Mumbai still doesn’t have the retail space for luxury brands. In Delhi there is more of a consciousness of brands. 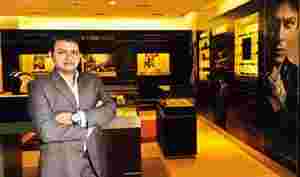 With the opening of Shangri-La (at Phoenix Mall, Mumbai) in 2012, there should be a huge opening up of the luxury brand market in Mumbai." What I love about my job: “Interacting with customers. I have a hotelier who comes in to have chai with me. We discuss all sorts of things. There’s an old lady who used to be a ballet dancer. She buys a lot of shoes from me. I love meeting people with such quirky backgrounds. You learn a lot from them." Santamaria also gets a special discount on all Ferragamo products, as well as a clothing allowance. The Indian luxury customer: “Loves to be pampered. Also they demand a high level of service. I’ve noticed in designer stores in the West, salespeople are snooty if you walk in shabbily dressed. But in India you have to give great service to any walk-ins. A man may be in chappals, but he may be a minister or a rich businessman, and is a customer. Also, clients don’t like to be kept waiting," he says. One thing I would change: “Nothing. As a hotelier you have no life. You are working when everybody else is partying. In retail it may be stressful but I am happy. I like it." What I look for when I am recruiting: “Some kind of fashion background. If not fashion, then a background in hospitality and some knowledge of retailing." Also, he says, a lot of people think working in the luxury sector is all about glamour. “So I advise people to intern before they decide to join. As a sales associate, you have to pick up each and every carton and count every shoe. Even if one shoe goes missing, it can mean a loss of ₹ 30,000 to the company." Money matters: ₹ 8-18 lakh per annum. The Indian Institute of Management, Ahmedabad (IIM-A) offers a three-week global management programme in luxury in partnership with the Essec (École Supérieure des Sciences Économiques et Commerciales) Business School, which has campuses in Paris and Singapore. 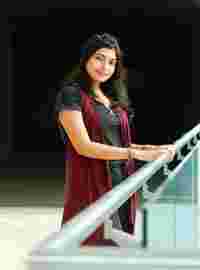 “IIM-A has a 30-year association with the Essec School, which is well known for its MBA in international luxury brand management. Five years ago, we decided to offer this 21-day programme to develop talent," says course coordinator Piyush Kumar Sinha. The course is meant for executives in the luxury business, entrepreneurs, and those who would like to get into this business. There are three modules for the certification, each a week long. The first one is held at the IIM-A campus in August and deals with subjects like strategy, understanding consumption, and brand valuation. The second module, in October, is held in Paris. This includes classroom sessions as well as interactions with industry, a visit to the Louis Vuitton factory and sessions taken by Christian Blanckaert, professor of marketing and a former managing director of Hermes International. The third module, usually in January or February, is a series of round-table discussions, with two days each in Mumbai, Delhi and Bangalore, where executives from the luxury business are invited to speak and interact with the participants. The fourth module, which is optional, involves a week in Paris, with visits to luxury companies. IIM-A is currently conducting its fourth such programme. Previous participants have included the country head of Christian Dior, a marketing manager at Swarovski, Dushyanth Ganjam of Ganjam Nagappa Jewellers, and Sharan Apparao of Apparao Galleries.